Is that what you think of your audience? Is this what you think of your fans? Do they think that we are all so simple that we won’t notice that they are trying to point at the pretty bird up in the sky while picking their own customers’ pockets? Microsoft, your attempt to make gamers feel more OK with REQ pack sales by pointing out that they have gone towards some professional gamer’s prize money is supposed to make everyone feel better about the fact that Halo is completely selling out. “Sorry we took away split screen, sorry the campaign was underwhelming, sorry that our main multiplayer mode is really just a ploy from the publisher to make more money. In fact, we’re so sorry… that we decided to take some of your money and give it to a pro that’s in a competition designed to market our game even more”. Is this your strategy now? Maybe it should have at the very least gone to a good cause. Maybe they actually have no need to apologise. Maybe I’m being unfair. 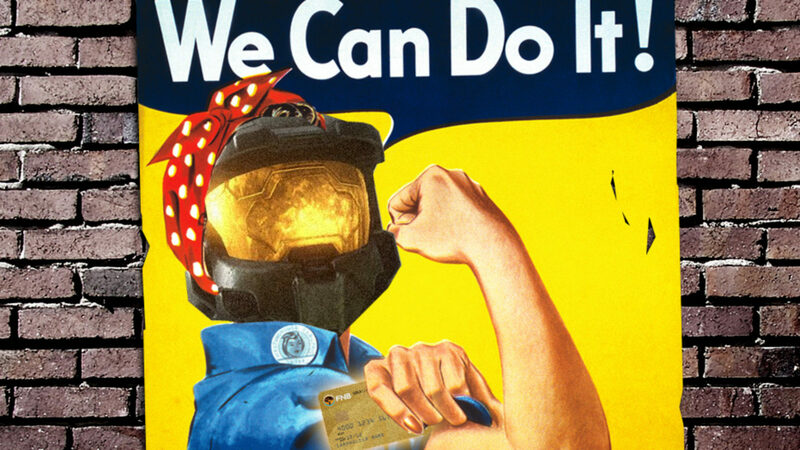 My own group of gaming buddies are already sour enough that Halo 5’s Warzone mode just doesn’t feel completely balanced and fair either, especially due to the nature of the REQ pack system and the fact that you can mod it… with your credit card. How do you feel about the REQ Cards system in Halo 5 Warzone? Added Value or Money Making scheme? While discussing the matter last night, we compared the REQ pack system to Titanfall’s Burn Cards and the fact that Respawn Entertainment understood the core idea that a system like this should enhance abilities and equipment and not give any players something another player doesn’t have access to. Above that, in Titanfall someone could burn a card to get a Titan immediately, right at the start of the round, which can be a great advantage – and that’s fine, good on him for burning his rare card. However, the very moment that Respawn/Activision decides that someone could pay real money to obtain cards, it all goes to hell. The concept of fun goes out the window, because now the great in-game system would immediately just feel like some tool with access to their parents’ credit card or a ton of disposable income has the right to be better than you and have better equipment than you. Make no mistake, the REQ cards system was designed for one thing and one thing only and that’s to generate sales. They didn’t come up with a great way to enhance their new idea for a Warzone mode and then suddenly realise they could make a little money off of it. The entire system is designed around the sale of cards, and its obvious. It’s obvious because creating a great Warzone type mode without them would not only have been simple enough, but more importantly I believe that it’s painfully obvious why the 343 Studios mysteriously didn’t launch with the REQ-free fan-favourite Big Team Battles mode from day one. I think it’s insulting, and shallow to say the least. Again, maybe I’m being unfair. Maybe this is what gamers want? You tell me. What I will leave you with, is that I was on the Halo forums investigating people’s thoughts on the matter, and someone casually dropped a comment there that he had already spent $100 on REQ packs in the first week. Another said that they felt like they were getting a good return on all the money they are spending… you know what? I find that terrifying.